During the celebrations for Christmas and New Year, it is an old tradition that the companies send nice postcards or greetings letters to their clients or maybe to another corporation. Although we already count with the new technologies (e-mail, virtual postcards etc), the Business letters are still the most effective communicative resource to say hi and congratulate other companies. Well then, it is important to keep in mind that the commercial letter to send greetings to the clients and suppliers for Christmas season must not contain just a nice message, but it also must contain a really nice presentation, because you must remember that every commercial letter has only one the principal objective: being the kind of good image projected by the company. As every commercial letter, the letter to send greetings for Christmas Season must be written with a computer and printed on white paper and of course the name of the company must be at the top of it. About what it must contain, the commercial letter to send greetings to the clients and suppliers for Christmas season must be really short, because it must accomplish its objective of sending greetings for Christmas. For that reason, this commercial letter must not contain any kind of promotions, advertisings or offers. The language used on this kind of letter must be formal but with manners, because you do not have to forget this is about a letter to send greetings for Christmas Season, for that reason it must transmit a good message of peace and love. You must try that the letter to send greetings for Christmas Season is really customized, in other words, each letter you send must contain the specific address and name of the client you want to say hi. Besides it is absolutely recommendable the letter to be written by the highest authority on the company, this person must put his signature originally and with his own hand of course. If it happens that the number of client is really high, then it must be printed a rubber stamp with the signature of the company. 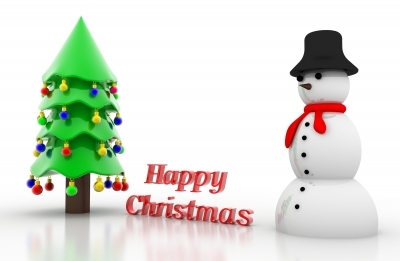 Next we will show you two examples of commercial letter to send greetings for Christmas Season. The first example is strictly for the suppliers of a company (or maybe to other companies) and the second one is for the clients. Through this letter we want to wish you and all the people who working with you merry Christmas along with the family and some good friends. Likewise we want to wish you a happy year 2019 and good things for you and for your company too. Without anything else to express, I shall say good bye merry Christmas and happy new year 2019. We are totally pleased to say hi, and at the same time, we would like to wish you and your whole family happiness on these soon celebration season. God bless you on this Christmas and we hope the 2019 years brings to you many successful times and accomplishments. Without anything else to express by now, we shall say good bye merry Christmas and happy new year 2019. If you liked this page you can help us by giving us a “like” on facebook, G+, twitter. Also if you want you can help this website by sending your Christmas greetings, and will be published, others friends will thank you .